Contributors: Brad C. Deutsch Principal, Garvey Schubert Barer, P.C. and Aaron S. Edelman, Attorney, Garvey Schubert Barer, P.C. 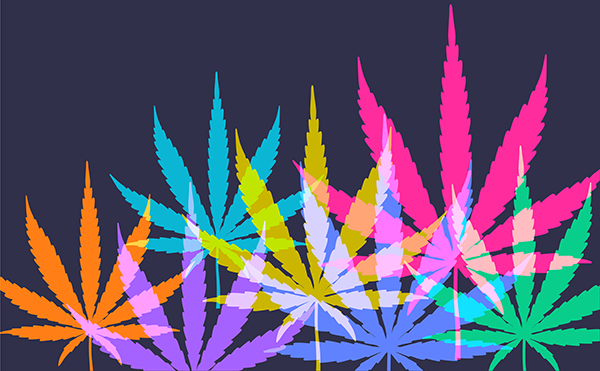 In our previous blog posts, we’ve addressed both the possible risks associated with marijuana advertising that are unique to being the federal licensee of a radio station and the intricacies of many state laws regarding digital media advertisements for marijuana. The latest development in the push to normalize marijuana and cannabis products as a consumer good comes from the cannabis industry’s own “Self-Regulatory” member organization, the National Association of Cannabis Businesses (NACB), which has recently adopted voluntary standards for advertising by its members. This blog post examines what impact these voluntary standards will actually have for advertising on the radio. The answer is that these standards are mostly significant as a marketing tool for the cannabis industry. The standards do not represent any actual change in the legal status of marijuana or in the risks associated with airing an ad for a product that is still illegal at the federal level. As we shared in our post on digital media advertisements, the most common state laws governing marijuana advertising typically address three concerns: (1) making sure that ads do not geographically target audiences that live outside the state in which marijuana is legal, (2) making sure that ads are not targeted to anyone under 21, and (3) making sure that ads are not false or misleading. The core aspects of the NACB standards track these common state restrictions by: (1) pledging not to buy advertising that specifically targets persons located outside the licensing state, (2) requiring any ad buyer to “utilize a method of age affirmation” to prevent ads from targeting anyone under 21, and (3) prohibiting any false or misleading ads. The new industry advertising standards are available on RAB.com as well as on the NACB website. But, once again, these standards are voluntary industry best practices for a member-based industry association. The penalty for non-compliance is only that an offending company could be expelled from the association. The fact remains that any decision to air a marijuana ad remains a careful risk assessment and at this point it may be best to err on the side of caution because, at the end of the day, radio stations operate based on a federal license and marijuana remains illegal at the federal level.